A quick-fire comedy improvisation show packed full of sketches, gags, songs, surreal situations, flying packets of ‘Instant Whip’ and prizes! Participate as much or as little you like: shout out during the show or write down suggestions in the interval to win prizes. Habeas Corpus a sell out – Almost! The Minchinhampton Players forthcoming production of Alan Bennett’s hilarious 2 act play Habeas Corpus is sold out for all of the evening productions but tickets are still available for the matinee on Saturday 24th November. Tickets are available from the Market Stores, Minchinhampton. Please note that the play is not suitable for children. Two conditions need to be met before an application to the Heritage Lottery Fund for a grant can be considered by the Fund. Firstly, the title to the Market House must be registered at the Land Registry. The Parish Council are the custodians of the title deeds to the Market House. Therefore, the Trustees of the Market House must register the title with the Parish Council named as the custodian trustees in the Register. The Parish Council have asked the Trustees of the Market House charity to implement this. The Trustees agree, and are now waiting for the title deeds to be released by the Parish Council. Secondly the Heritage Lottery Fund requires a commitment to match funding against any grant offer that they may be prepared to consider. This must be actual cash in the bank, or a commitment by the custodian trustees to underwrite that match funding if it is not raised from others during the development phase of the project. The Trustees have raised over £30,000 so far and are discussing the need for more match funds with the Parish Council. In the meantime, damage to the cornice and gutters at the rear of the building are to be repaired in August. Both the registration costs and the repair costs will be met by the Market House Management Committee. Without the building being registered and match fund support, the Management Committee are unable to submit their Lottery Bid, which is ready to go. We look forward to the Parish Council being able to support our lottery bid on behalf of all parishioners of Minchinhampton in order that the Market House can remain the premier venue within the town for both educational and recreational activities available to everyone. The Trustees of the Market House will seek to agree support with the Parish Council to ensure the Market House meets the expectations of the community. Chairman of Minchinhampton Market House Trustees. The Small Spaces Theatre Company presents ‘My Dearest Kate‘, written by Ellie Dickens and adapted by Marianne Gaston, who also stars in it, alongside David Holman. It’s the story of Catherine Dickens and her tempestuous marriage to Charles, the journalist, novelist and playwright, seen through actual letters exchanged between herself, Charles, friends and family. Don’t miss this one-night only performance at Minchinhampton Market House on Saturday 29th July, 7.45pm. Tickets available via this website (inc. 75p booking fee per ticket) or at Minchinhampton Market Stores. We are thrilled (if you’ll pardon the intentional pun) to be hosting our next Literary Lunch with thriller writer Martin O’Brien on Friday 10th March at noon. Martin was travel editor at B ritish Vogue for a number of years, and as a travel and life-style correspondent he has contributed to a wide range of international publications. 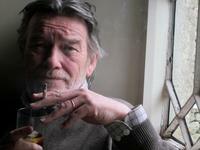 As well as writing the Daniel Jacquot detective series (“Rich, spicy, and served up with unmistakeable relish” – The Literary Review), he has also written straight-to-paperback thrillers under the name Jack Drummond (“Big, high-pitched disaster novels don’t come much more thrilling than this” – The Daily Mirror). His latest Daniel Jacquot book, ‘Talking to the Sharks’, published last summer received excellent reviews. Tickets are £25 and include a two course lunch plus tea or coffee. There is also a licensed bar. So pick up a booking form from Minchinhampton Market Stores, Taylors Butchers, Munchinhampton Cafe or Amberley Post Office. The magnificent Minpins children’s choir is coming to the Market House on Saturday 21 May. 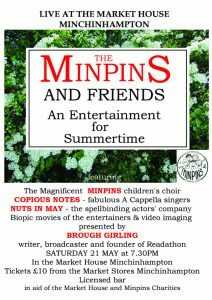 Part of Stroud Choral Society, the Minpins took their name from Roald Dahl’s last children’s book, so it is appropriate that the event – named ‘An Entertainment for Summertime’ – will be presented by writer and broadcaster Brough Girling, chairman of SCS and founder of the reading charity Readathon, of which Roald Dahl was the chairman and an ardent supporter. 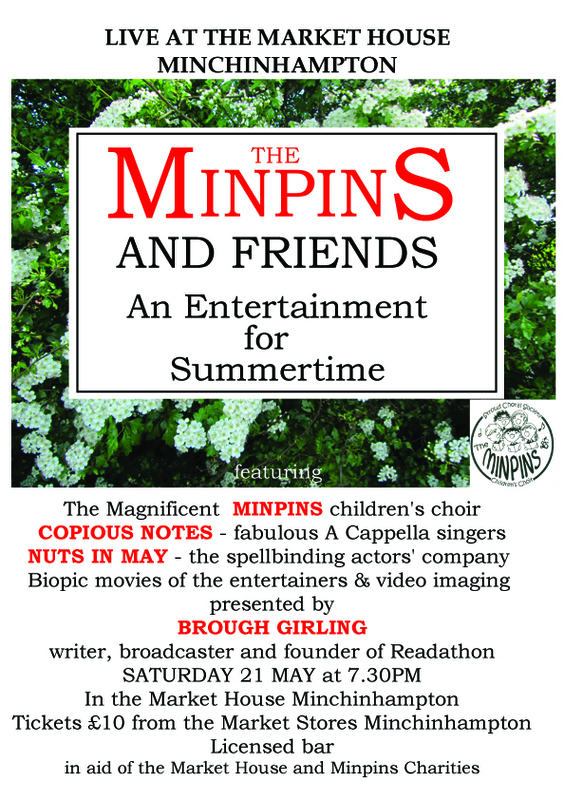 The Minpins will be joined by the A Cappella singers ‘Copious Notes’ and ‘Nuts in May’, the actors’ company. 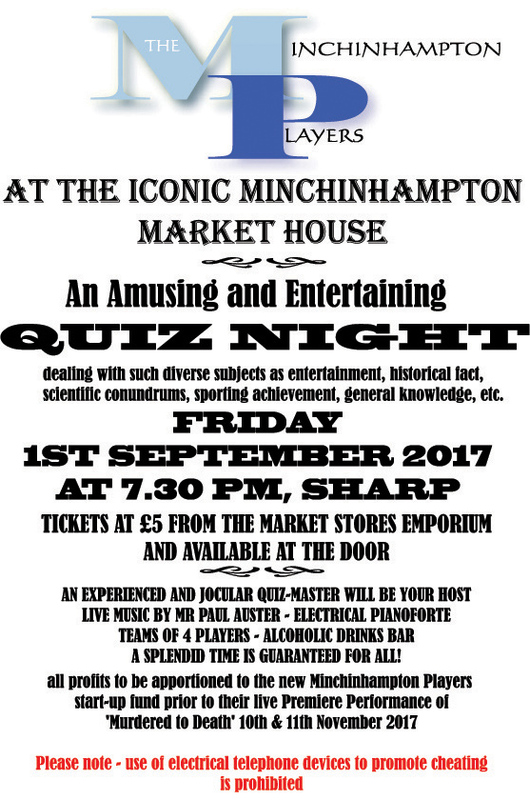 Tickets are £10 and available from Market Stores Minchinhampton. There will also be a licensed bar in aid of the Market House and Minpins charities. 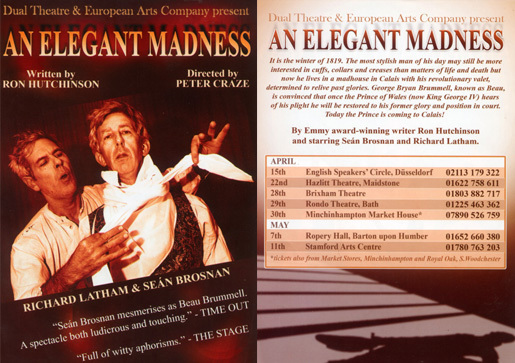 Don’t miss out on this fantastic opportunity to see Emmy award-winning writer Ron Hutchinson’s ‘brilliant comic drama’, starring Richard Latham and Sean Brosnan, on Sat 30th April 2016. 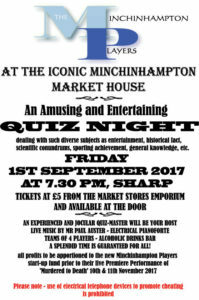 Tickets are available from Market Stores in Minchinhampton. Grab them while they’re hot!